6.2.1 Develop dynamic peer-to-peer networks and share learning through collaborative communications tools. 6.2.4 Develop a database for stakeholders to register the support they can provide/require e.g. potential solar hosts register. 6.3.1 What capacity building support already exists? This sub-strategy outlines what is needed to build the capacity of community energy proponents to successfully implement and deliver their projects. Develop the community energy sector into a vibrant, robust, highly skilled, and adaptable sector. Build capacity from within, through a number of innovative communications, networking and skills development initiatives. Currently, there are many community energy groups facing similar challenges, however the structures to facilitate dynamic information sharing are fragmented and not yet effective. A strong desire for peer-to-peer learning between community energy proponents has emerged from research underpinning this strategy. Given that Australia is a large country, an online platform to facilitate two-way communications between community energy groups is a strategic priority. There are many online platforms that could be used, varying from simple to highly complex. One favoured means would be the establishment of a closed Facebook group. Such a group, could be an effective tool for groups to pose questions and provide a proactive channel for groups to take important steps towards project implementation without exhausting their or the sector’s limited financial assets. This priority initiative would involve the establishment of such a mechanism, recruiting members and monitoring its use and if it is not meeting the needs of community energy groups, alternative dynamic peer-to-peer communications platforms could be investigated. Community energy project proponents indicated strongly throughout the national survey that they require support across a range of areas, particularly fundraising, technical and legal issues, and negotiation and communication skills. They further identified a preference for access to peers and experts ideally through channels that do not require significant financial or human resources. Developing a well-resourced and targeted mentoring, training and networking events program delivered at a combination of levels – national, state, regional and virtual (webinars) would help meet these needs. While a number of community energy support organisations provide some training and mentoring, the opportunity of this priority initiative is to create a better coordinated and more comprehensive targeted approach to community energy mentoring and training. The inaugural Community Energy Congress is a great example of a networking and training event at a national level. It received overwhelmingly positive reviews, providing an opportunity for community energy proponents to share knowledge and ideas, receive training in identified skills gaps, be inspired and feel like they are part of a larger sector. However, it is expensive to bring people together nationally. While the Community Energy Congress should be repeated, it should be a bi-annual event and supplemented by a calendar of events developed for delivery at a state, regional and virtual level. For example, a series of webinars hosted by experts in particular problem areas could be produced at relatively low cost and with a high level of accessibility when combined with social media and existing forms of support and engagement. This priority initiative will help address the desire for “face to face meetings (or via digital means) of people who are going through the same learning experiences” (National survey respondent), as well as addressing skills gaps and creating strong peer-to-peer networks. It will involve building on the research undertaken and the pilot training program at the Congress to target the most needed areas of skills and knowledge to the most appropriate delivery form. There is already a central web repository for community energy information and resources in Australia – the Embark Wiki. The wiki currently hosts 150 articles, has several hundred unique visitors from all over the globe every month and importantly, has inbuilt architecture to support the growth of the needs of the sector. The research undertaken indicates that there is a commitment to using and strengthening existing resources. However, upgrades are needed to make the existing web repository more dynamic and user-friendly and consequently more widely promoted and utilised. As such, this priority initiative would entail identifying the needs and gaps of the central web-repository, supporting an update to meet these needs, doing a stocktake and collation of the best available resources, inviting community energy stakeholders to upload resources and then funding the ongoing maintenance of the website. It is important that any central repository is used, so the priority initiative must also include promotion of the website generally and new resources located on it specifically. 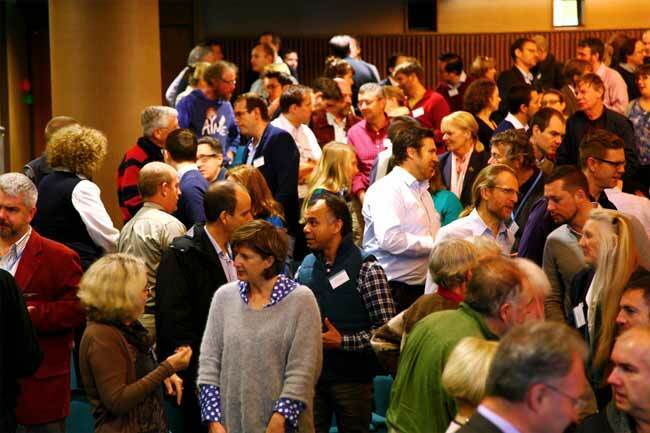 There are many people and organisations interested in developing or supporting the development of community energy projects and a wider sector. One of the biggest challenges is matching up needs with offers of assistance. This priority initiative is to develop a web-based community energy matching service (colloquially titled RE-Harmony). This would enable community energy groups to put out requests for support and various other organisations – legal, marketing material etc, to offer assistance. In particular, it could be useful for matching community groups with potential host sites. Securing interested and appropriate host sites is currently one of the biggest challenges facing both community wind and solar projects. A structure that facilitates collaboration and is well staffed and resourced, will help minimise duplication of effort, support the resourcing and development of the priority initiatives outlined in the wider National Strategy. This would grow the capacity of the community energy sector to achieve the vision outlined. Research undertaken as part of the community energy cost analysis (Appendix F), provides an indication as to why capacity building is so important. Figure 4 shows that the first project of six models of community energy operating or in development have incorporated significant in-kind time and services. In-kind contributions are in the order of 20-70% of the total cost of developing a project (i.e. excluding capital or operating costs), and come down rapidly when the path to project delivery is more clearly established. To make community energy accessible to many groups (especially those applying models developed by other groups) and easier to develop projects, the capacity of groups must be developed to both reduce and ensure that scarce in-kind time and services go to the best use. An examination of the services and support provided by international organisations that support community energy projects/sectors. Community energy project proponents indicated strongly throughout the national survey that they require support across a range of areas, particularly access to peers and experts. However, community groups are also time and resource poor, so work is needed to ensure support is delivered through channels that do not require significant financial or human resources from community groups. Strong peer-to-peer networks are needed to facilitate more effective participation and shared learning across the sector. Community energy proponents need to further develop specialist skills and knowledge to deliver successful community energy projects, specifically in the areas legal, technical and financial expertise. Effective and easily accessible channels for communication amongst sector support organisation, projects, and other relevant networks are needed. The most cited capacity building assets of organisations supporting community energy groups are people involved who are skilled in various aspects of community energy as well as strong research capabilities to support the growth of the sector. Existing capacity building tools identified were the Embark Wiki and newsletter, the Community Power Agency (CPA) ‘How to Guide’, ‘Community Energy Map’, and inception workshops, training resources; support provided by Starfish Initiatives and NSW Office of Environment & Heritage (OEH) regional coordinators and the mentoring programs by Embark, CPA and Starfish. This indicates there are tools and resources upon which to build, however currently these tools are either under-utilised, under developed or fragmented. This strategy builds on these tools and addresses their weaknesses as well as identifying and proposing initiatives to fill gaps. Community groups and support organisations were asked what they thought the main skills and knowledge gaps are inhibiting community groups developing successful community energy projects. The starting list of skill and knowledge areas important for community energy included: project management; financial management; renewable energy technologies, energy efficiency and peak demand management; operation of the energy system/market; negotiations with potential hosts, developers, grid companies and retailers; community consultation, engagement & education; volunteer and consultant coordination and management; legal structures; group governance; communication and media; and fund-raising, covering grants, sponsorship and capital raising. Of all the options listed, capital raising was identified as the biggest skills gap with 75% of groups answering that this skill ‘needed strengthening’ or was ‘non existent’, followed by more general fund raising skills, with 57% indicating their capacity needs strengthening or is non existent. Additionally, 58% of groups indicated that their capacity to negotiate with potential hosts, developers, grid companies and retailers needs strengthening or is non existent, while knowledge of the operation of the energy system/market was an area that 56% of groups identified as needing strengthening. Interestingly, differences exist between the top skills gaps identified by community energy groups, community energy support organisations, and groups at different stages of development. Notably, community energy groups indicated that knowledge in areas such as project management and governance is pretty well established. The groups felt generally well equipped in communications and media (71% reporting sufficient or abundance of capacity), group governance and financial management (both with 67% of respondents reporting sufficient or abundance of capacity). This is in contrast to a gap identified by support organisations, many of which see group governance, communications and project management as areas needing attention. The contrasting views around capacity building skill gaps might be attributed to differing involvement in the community energy sector by these two groups of stakeholders: support organisations might see challenges that groups in early stages of development haven’t yet encountered. Another reason might be that everything is a challenge and while it might be possible to figure out skills such as communications ‘on the fly’, it is not possible to do the same with technical knowledge. Therefore, this does not necessarily mean it is not a capability gap, but rather one that is less urgently in need by community groups. In researching capability gaps it also emerged that the structures are not in place to easily facilitate community energy groups to, connect with each other, renewable energy actors and wider energy sector stakeholders. This is the basis for the networking and two-way communications platform based priority initiatives outlined in this sub-strategy. Community energy proponents were asked which mechanisms they thought would be most appropriate to fill knowledge gaps. The list of possible responses was: outsourcing to experts, written resources, access to peers/ experts, formal training and formal mentoring. Participants ranked the need for greater access to peers and experts consistently ahead of all other options, showing a clear need for more dynamic, collaborative, two-way communications platforms to foster peer-to-peer learning, support and leadership. Formal training and mentoring were also identified as useful in specific circumstances. Community groups were also asked which mechanisms they most often used to find out information about community energy. The possible options provided were events, websites, newsletters, social media and email lists. Websites and events gained the highest number of responses. These preferences have informed the focus of the priority initiatives outlined in this sub-strategy. Newsletters, social media and email lists were ranked as having lesser usefulness. Surveys of community energy support organisations strongly indicated a preference for utilizing, strengthening and better promoting existing available resources and mechanisms of delivering information and capacity building programs. Once the bounds of these existing resources and channels are exhausted then effort should turn to filling gaps with new programs or capacity building infrastructure.